Wyoming fishing on the Little Laramie River is sure to keep the fishing enthusiasts coming back for more! 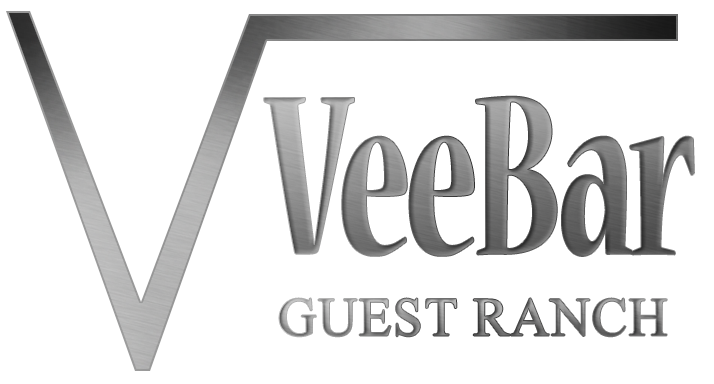 One mile of the Little Laramie River flows through the Vee Bar, and fishing on the Vee Bar’s private property is saved exclusively for Vee Bar dude ranch guests. The river is swarming with Brown and Brook Trout. Areas of the river are without overhanging trees, perfect for fly-fishing. 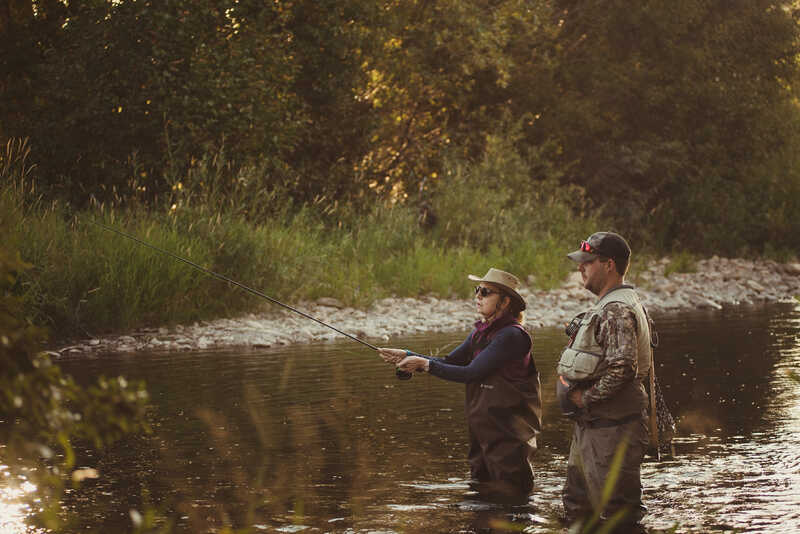 Some equipment is provided including fly fishing rods, spinner rods and reels, flies, limited pairs of waders, and a small kit with a few more necessities. High water (from spring snow-melt) is usually at its peak between mid-May and mid-June. During this time, the river is very hard to fish so you may want to plan accordingly. During the winter, the river is frozen over in places, but still flows underneath. By mid-March the river is thawed and the fish are hungry! In the fall, the fishing is usually quite good through the end of October. Looking for fishing lessons or packages? A trained and certified guide is on call and available to help you learn the in’s and out’s during your stay, or take you on a guided fishing excursion! He also gives guests a demonstration early in the week which covers topics such as techniques, equipment, and fish and flies found in the Little Laramie River. The Vee Bar also has a stocked pond perfect for learning. It also serves as a wide-open space suitable for learning to cast your line! If the river on the Vee Bar is not enough for your Wyoming fishing needs, there are numerous mountain streams and lakes very near. Visiting during June, July, and August? Summer package rates already include guided fishing! 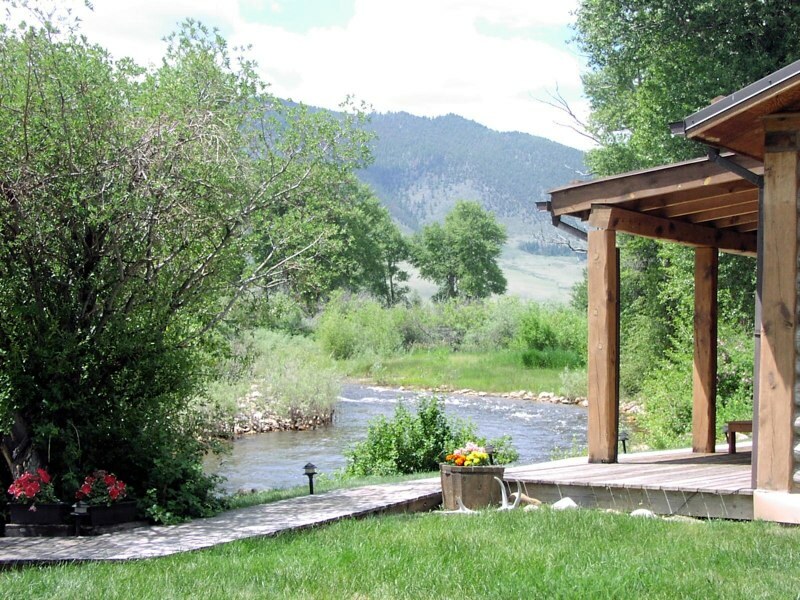 If you are planning a visit during other months, check out our exclusive fly fishing packages!